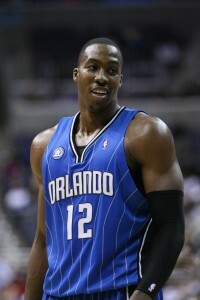 During Tuesday's Magic vs Pacers game, with 14 points for the night, Dwight Howard became the all-time leading scorer for the Orlando Magic. Going into the game, Dwight only needed 8 points to beat the record formerly set by Nick Anderson. "It's a humbling experience," said Howard, "It does mean a lot. Not too many players in this league can say that they were their franchise's leading scorer."